There's no sense re-inventing the wheel -- there is already plenty of information available on the Internet about John, his life and his music. What follows is a brief (well, brief by our standards!) overview of this remarkable performer, and at the end of the article you can follow the links to some of the excellent web resources available. Left: the fresh-faced young Johnny at the start of his solo career, ca. 1967. John Farnham has been praised one of the finest singers in popular music -- and when people of the calibre of Stevie Wonder and Tom Jones are saying so, you can be pretty sure it's true! His talent is reflected in his extraordinary career achievements and he is acknowledged the most successful solo singer in the history of Australian music. He's always been a popular performer and vocal abilities have never been in doubt, but after the first flush of success John spent years in the musical wilderness, and it was only after a long struggle that he found his true voice, redefined himself and slogged his way back to massive and lasting success. And he has always been acknowledged as one of the nicest blokes in the business. John Peter Farnham was born in Essex, England on 1 July 1949 and spent the first ten years of his life in the town of Dagenahm. In 1959 his family migrated to Australia and settled in Melbourne. He was still in high school when he joined his first band, The Mavericks, which playing mostly at school socials. John got a part-time job with a plumber and after leaving school he decided to take up an apprenticeship. He stuck to his trade for 2 years while playing gigs with The Mavericks on weekends. In late 1965, during a gig at a 21st birthday party, Nick Fernander from Melbourne beat group Strings Unlimited approached John, who was then 16. They were on the lookout for a singer so he asked him if he would like to audition. John sang House Of The Rising Sun (not very well, apparently!) but got the job. They secured a residency at a Melbourne hotel and it was during this period that John cut his first know recording, a cover of The Beatles' I Feel Fine. After about 18 months with the group, John was spotted by pop manager Darryl Sambell when Strings Unlimited played a gig at Cohuna in country Victoria. 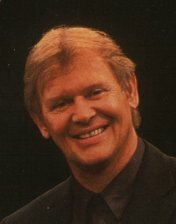 Sambell, who was from South Australia, was originally an accountant working for a concreting firm in Adelaide, and his first venture into showbiz was as the manager of Adelaide singer Bev Harrell. John left the band and began a punishing round of gigs through Victoria and South Australia to establish himself as a solo artist. Before he left the group, John and Strings Unlimited had cut an EP which came to attention of EMI house David Mackay in early 1967. Mackay was sufficiently impressed with John's performance to contacted and offer him a job singing the lead on a commercial jingle that he was producing for TAA (later Australian Airlines), written by future film composer Peter Best (Barry McKenzie, Crocodile Dundee). The success of the ad soon led to John being signed to a contract with the prestigious EMI label. As John's first single, Mackay selected an American novelty track he had come across, "Sadie The Cleaning Lady". Mackay insisted that it be recorded -- against the strenuous objections of both John and Darryl -- and it was released in November 1967. Sadie was a gamble; it was commercial, to be sure, and it slotted into the popular novelty vaudeville trend that was then in vogue (e.g. the New Vaudeville Orchestra's 20s style hit "Winchester Cathedral") -- but it was so corny that most stations refused to play it. Sambell's ability as a "spin doctor" saved the day. First he convinced the ABC to do a segment on how a record company promoted an unknown singer (guess who?). This was screened either on Four Corners or This Day Tonight (sources differ as to which show it was) and the attendant publicity began to generate interest. Then Darryl devised a clever ruse with the help of his friend, top Melbourne DJ Stan "The Man Rofe, in which Stan would publicly rubbish the song every time it was aired. When they repeated the trick during John's appearance on the TV pop show UpTight (where Stan was a regular guest) the 'reverse psychology' worked -- the station's switchboards were flooded with calls barracking for John and requesting a repeat of the song. Sadie roared up the charts and, as strange as it seems these days, it ended up being the biggest selling Australian single of the '60s, surpassing the previous best-seller, Normie Rowe's "Que Sera Sera". John was now well and truly on his way and before long he had taken over from Normie (who was sidelined by the draft in 1968) as the most popular solo pop singer in the country. Sambell too benefited greatly from John's success and by 1969 his management stable also (briefly) included The Masters Apprentices and Zoot and in in 1970 Darryl joined forces with other leading managers including Jeff Joseph (manager of Ronnie Burns) to found a new super-agency, AMBO. Under the guidance of Mackay (who now lives in the UK) and the flamboyant Sambell (who died in 2001) John recorded a string of top-selling singles, EPs and LPs. John's early career was helped along by his boy-next-door good looks and his winning personality. He was a hugely popular concert attraction, and his rapidly developing stagecraft enabled him to branch out into TV series and specials and stage musicals like Charlie Girl and Pippin. His national popularity was recognised with many accolades, including being voted Australia's King of Pop for five years running (1969-73), and he was named King of Moomba in 1972. 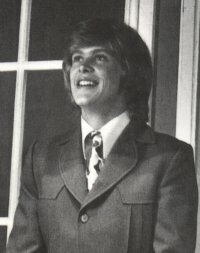 In April 1973 John married Jillian Billham, a dancer he had met during the run of Charlie Girl. As Ed Nimmervol points out, the wedding showed just how remote Sambell had now become from his client's personal and professional needs. At first, Darryl doggedly denied that the wedding was happening; then he thwarted a planned double ceremony with John, Jillian, Jillian's sister Judy and her fiancé. Finally, he leaked the details to the press and on the day the couple was mobbed by thousands of people, with some angry female fans even trying to rip Jillian's wedding dress as she walked past. But by this time popular music tastes had changed radically, heavy rock and progressive styles were on the ascendant, and glam rock ruled the charts. Meanwhile, John's pop career was slowly unravelling as Sambell doggedly tried to steer towards the "adult" market and mould him as an 'all-round' variety entertainer. He was by no means the only pop performer to go down this route -- many teen idols from the mid-'60s developed successful careers on the club circuit. Most had assumed that the 'beat boom' couldn't last, and indeed few people in 1964-65 could have forseen that "pop" would develop into the diverse and thriving music scene that it became. But for John the club circuit would prove a frustrating dead end. There were several reasons why he was led down this path -- well-intentioned but misguided management, poor choices of material foisted on him by labels (typified by the dreadful Sadie, which became a real millstone), and above all the inherent difficulties of maintaining a successful pop career as solo singer when you do not write your own songs. In 1974 he had his last (minor) hit for EMI and soon after that he lost his contract. He was by now pigeonholed as a "middle of the road" entertainer, and his former popularity gradually faded as teen fans grew up and moved on to new sounds. John's own good nature, versatility and adaptability (not to mention the simple need to earn a crust) led him to accept work that usually fell far short of his potential and which was often far removed from his true musical interests. In many ways, John's story parallels that of Tom Jones -- like John, Tom was dismissed for years as a has-been "club" entertainer, before his own breakthrough back to popular acclaim in the late ‘80s. Interestingly, it seems that this decline was part of a cycle which saw many formerly popular male singers fall out of favour-although ironically, many female solo singers like Helen Reddy, Olivia Newton-John and Colleen Hewett were enjoying considerable success at the same time. Now classified as an "entertainer", John was ignored by the rock scene for years. He went through some tough times after his split from Sambell in 1976. He spent two years managed by industry veteran Kenn Brodziac (the man who brought The Beatles to Australia) but Kenn could do do little to further John's career in the face of the resounding disinterest of record labels. In 1978 John left Brodziac and signed with his old friend, former MPD Ltd member Danny Finley (who at the time was married to singer Colleen Hewett). John maintained his visibility and popularity with regular TV and club performances, but as the decade came to a close he ran into a major financial crisis. He was hit with a huge bill for unpaid tax bill from the previous nine years, followed by a near disaster when he, Danny, Colleen and another partner lost heavily on an ill-fated Melbourne restaurant venture. John and Jillian were forced to sell their holiday farm near Lake Eildon and it almost cost them their home in Melbourne as well. By the end of the Seventies John's pop career was languishing; he had been relegated to the club circuit and variety TV and most people thought he was washed up as a chart performer. But his huge talent and sheer determination kept him going through lean times and as he headed into the ‘80s he began to fight his way back to the top. In 1979, after agonising for almost six months he left Finley and signed with musician-turned-manager Glenn Wheatley, the former bassist with The Masters Apprentices, who had taken LRB to enormous success in the United States. As a token of his wish to be taken seriously and to put some distance between himself and his earlier image, he now insisted on being called John rather than the diminutive Johnny and he refused to perform any of his old material -- especially the dreaded Sadie. If there was one crucial turning point in John's comeback, it was the Australian Royal Command Performance in 1980. John stunned the national TV audience when poured everything he had into an impassioned performance of a revamped "power ballad" version of The Beatles' "Help!" For the first time the public and the industry could hear the extraordinary strength, range and emotive power of his voice in the proper setting and "Help!" was pivotal in reversing the negative opinions and alerting people to what a superlative rock-soul singer he could be. Later in the year, with LRB's Graeham Goble producing, John recorded a new album Uncovered which included "Help!". Released as a single, it sold 55,000 copies and gave him his first Top 10 hit in more than five years. Although the next few years would not be plain sailing by any means, John was definitely on his way back. In 1982, at the insistence of Graham Goble, John replaced Glenn Shorrock as the lead singer in The Little River Band. Although it was an important step forward for his image and career, and he did some fine work with them, it was an often difficult match, and John found himself out in the cold again when that lineup of LRB split at the end of 1985. After leaving LRB, and with typical determination, John set to work with a few close, faithful friends including sound-man Ross Fraser, who discovered "You're The Voice" and became a long-time collaborator. They started collecting and preparing material for a "make or break" effort to record an album, one that would do him justice and demonstrate what he was really capable of. Yet, despite his many previous achievements and awards, he was unable to get interest from any major label, and it was only through the support and unwavering belief of Glenn Wheatley -- who mortgaged his house to help pay for the recording -- that he was able to see his dream to fruition. Wheatley took the album to every company in the country, but RCA was the only label interested, so Farnham signed with them. Like Decca's famous rejection of The Beatles, it was a decision many A&R managers would soon come to regret. When the album was released, the result far outstripped anything Farnham and Wheatley could have hoped for and he became an overnight success -- after almost 20 years in the business! His all-conquering Whispering Jack album shot to #1 on its release in October '86, holding the top slot for 18 weeks, and it went on to become the biggest-selling Australian-made album in the history of Australian music (a position it still holds). He also scored three huge hits with the singles from the LP -- his #1 smash"You're The Voice", "Pressure Down" and his cover of Ross Wilson and Gulliver Smith's "Touch Of Paradise". He scooped the pool in the 1987 ARIA awards, and his 'Jack's Back' tour became the biggest grossing local tour ever mounted up to that time. His incredible comeback was topped off when he was named Australian Of The Year in 1988 -- although there was panic just before the event when it was discovered that John had never been naturalised! His next two albums were just as successful. Chain Reaction (1988), John's first major outing as a songwriter, and Age Of Reason (1990) were both #1 hits. He added to his huge solo success with a starring role in Harry M. Miller's arena revival of Jesus Christ Superstar in 1992, and the soundtrack album from the show became the biggest selling album of that year. As Ian McFarlane points out, one of the secrets to John's success has been his ability to attract top-rank players, and over the years his bands have included some of the finest players and singers from Australia and overseas, including legendary American vocalist Venetta Fields (whose stellar credits include Ray Charles, Steely Dan and The Rolling Stones), Joe Creighton (Black Sorrows, Billy T), Derek Pellici (Mississippi, LRB), Sam See (Flying Circus, Fraternity, Stockley See & Mason), Chuck McKinney (Hot City Bump Band) and Stuart Fraser (Feather, Noiseworks). In 2002, to the dismay of his many fans, John announced that he was retiring from full-time performance and through the end of 2002 and into early 2003 John embarked on a farewell tour, appropriately called 'The Last Time'. Although this was his last full-scale national tour, John has not retired from music entirely and he will continue to play the occasional live show in future years, as well as making more recordings. But it is fitting and laudable that this consummate professional has decided to bow out while he is sitll at the top of his game. It's safe to say that John is now an Australian institution, and as well as his many incredible achievements as a performer, his thirty-year marriage to his beloved wife Jillian has endured through all the ups and downs. And through it all, John has never lost his cheerful, cheeky, unaffected manner and his good humour and for this alone he is counted as one of the most respected and best-liked people in the industry. Please email webmaster@mielsago.com if you have more information or corrections, or to report any broken links.